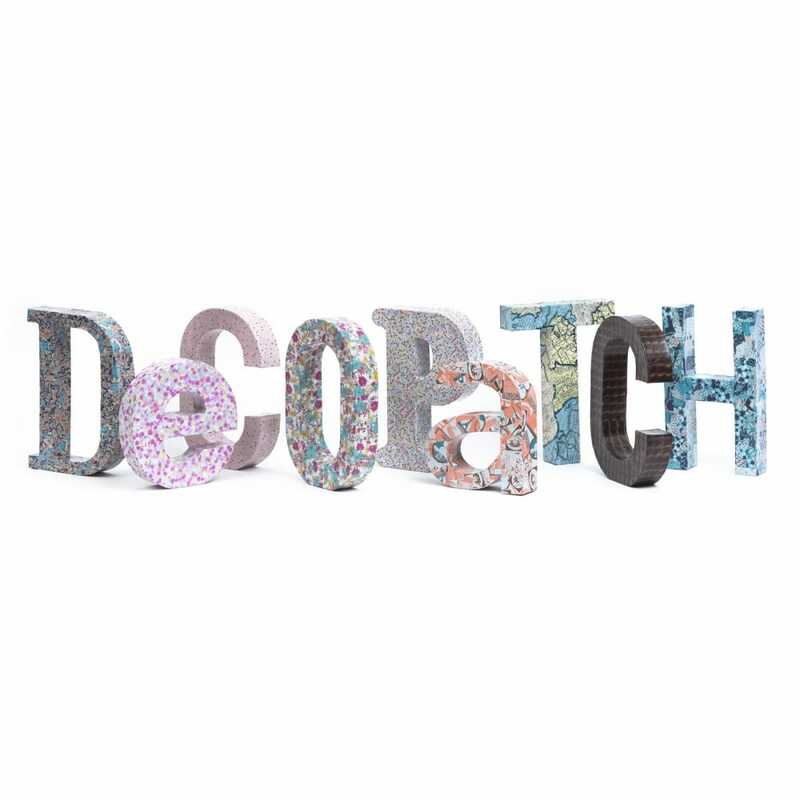 Decopatch is a paper and glue varnish system, which creates a decorative, hard wearing finish. All you need to create your own Decopatch masterpiece is the object you're going to cover (and it works on anything!) This section contains the decopatch alphabet for all your lettering needs. Made from strengthened chipboard and coated in a white primer, each letter measures 12 x 10.5 x 1.5cm approximately. Showing 2 Decopatch Letters & Numbers reviews. Average rating of Excellent. Would you like to write a review? These letters are lovely to decorate with decopatch papers and glitterific paints.